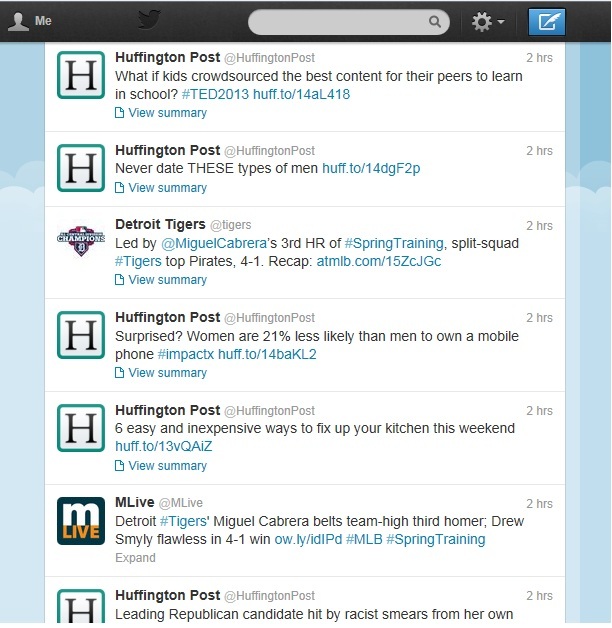 This past month, I decided to follow the Huffington Post on Twitter. Not since I began following former congressman Anthony Weiner almost two years ago, have I regreted a decision on social media so much. My Twitter feed now consists of almost nothing but the letter H.
Initially, I though that Huffington Post must have tons and tons of urgent information it must send out to its followers. The only alternative theory is that the media organization has someone who sits, glued to a chair, frantically tweeting every single thought that runs across his or her mind, but no company would subject its readers to that. Or so I thought, until I began reading the company’s tweets.